The fifteenth annual Independent Film Festival Boston runs through next Wednesday at the Somerville, Brattle and Coolidge Corner Theatres. Here’s a quick look at six movies worth checking out over the weekend. The title character is a depressed cubicle drone working at a debt collection agency, but he really wants to be a puppeteer. He’s also a gorilla, or maybe just a guy wearing a cheap gorilla suit that goes unremarked upon by everyone. 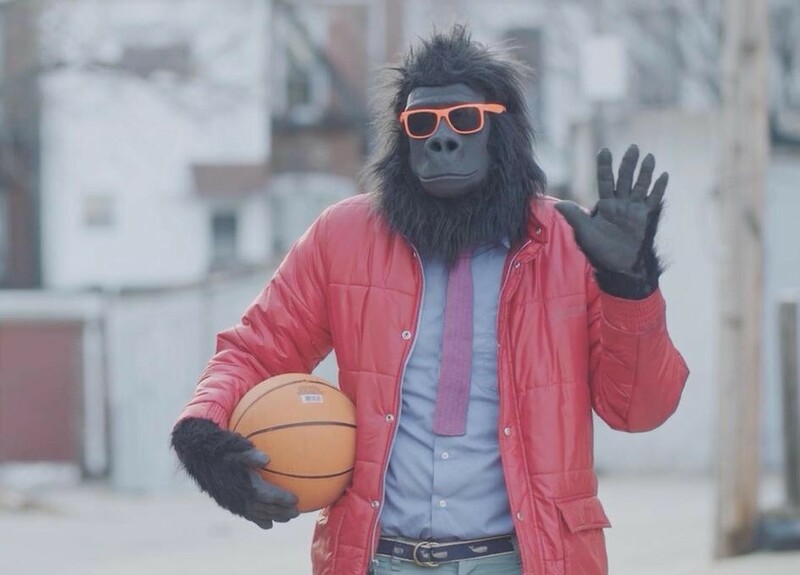 Whatever the case, the ape in silly sunglasses and people clothes scores a surprising amount of pathos in this bizarre, improbably moving film from directors Albert Birney and Kentucker Audley. Spun off from what I’m told was a popular vine series, Sylvio has stray moments of beauty that border on the sublime, recalling the delicate whimsy of director Michel Gondry at his least obnoxious. There’s a yearning to the hairy guy’s amazingly uneventful puppet shows, a dream of sophistication that transcends his animal brutishness. The movie’s also funny as hell because, again, it’s about a gorilla wearing sunglasses and people clothes. Screens Friday 4/28, 9:45pm at the Brattle. Documentary legend Steve James (Hoop Dreams, Stevie, Life Itself) tackles this blood-boiling tale of the only bank prosecuted for mortgage fraud following the 2008 financial crisis. Unlike the too-big-to-fail behemoths that all got off scot free, a small, family-run Chinatown bank was offered up as a scapegoat by the New York district attorney’s office and charged out the wazoo in a forehead-smacking example of prosecutorial overreach. 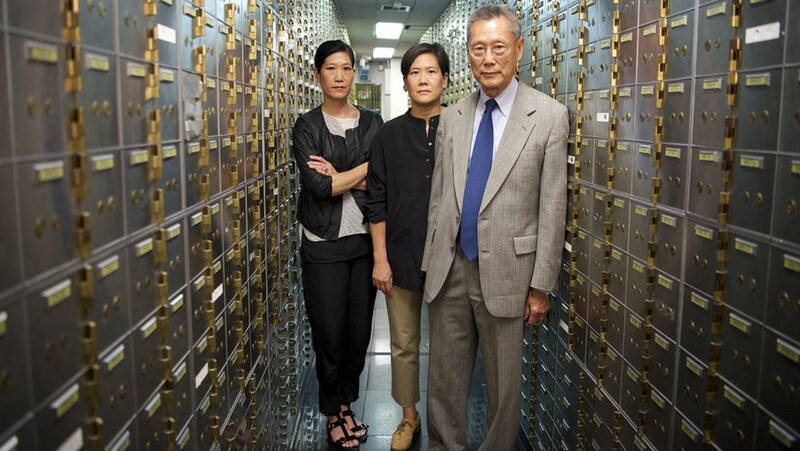 But Abacus Federal Savings Bank’s seventy-five-year old proprietor Thomas Sung and his four lawyer daughters refused to plead out, resulting in a five-year, knock-down drag-out legal battle that sometimes plays like Kafka by way of the Keystone Cops. James has always been a filmmaker fascinated by community, and Abacus doubles as an engrossing glimpse inside cloistered Chinatown customs and an immigrant population looking out for one another because it’s infuriatingly obvious that nobody else will. Don’t miss this one. Screens Sunday 4/30 3:30pm at the Brattle. 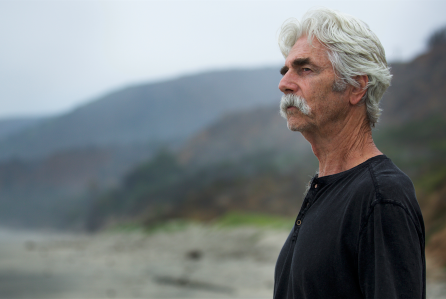 With his Fuller Brush moustache and a voice like Jack Daniels and honey, Sam Elliott has been quietly stealing scenes for decades without ever quite landing a role as meaty as the one his I’ll See You in My Dreams director Brett Haley wrote for him here. Playing a washed-up pothead on the downside of a popular, if artistically undistinguished, acting career, Elliott is all leathery regret and rueful one-liners. Jolted out of stoned inertia by a bit of bad news, he tries reconciling with the ex-wife (Katherine Ross) and daughter (Krysten Ritter) he let get away, and even attempts to audition for a role in a junky young adult sci-fi blockbuster. Lacking some of the offhanded elegance that made Dreams one of the decade’s most accomplished debuts, The Hero strains too hard for profundity at times but Elliott’s pitch-perfect performance is one for the books. Screens Friday 4/28, 8pm at the Somerville. Proof that people will be nostalgic for just about anything, the notoriously crappy audio format has been on something of an upswing as of late, no doubt with hipsters who think vinyl fetishism isn’t obtuse enough. Nobody’s more surprised than Lou Ottens, who invented the damn things and can’t understand for the life of him why people still cling to the obsolete. Director Zack Taylor pokes around the curious cassette aficionado subculture, chatting with the likes of Henry Rollins, Daniel Johnston and Thurston Moore. What emerges is a not uninteresting notion of the hissy format democratizing music culture, allowing fans to actively program their own fantasy albums instead of passively accepting whatever the record company provided. (To this end, the film has been cheekily edited with bursts of media to mimic a mixtape.) It’s an amusing do but I wouldn’t want to see a sequel about 8-tracks. Screens Friday 4/28, 7pm at the Brattle. Hell Is Other People in the Berkshires might be an apt alternate title for writer-director Theodore Collatos’ nerve-jangling freak-out. Dameka Hayes stars as a New York City playwright invited to workshop her latest with a rural theatre company. She brings along her anxiety-prone fiancée (Carolina Monnerat) who is instantly troubled by the persistent attentions — and incessant lawn-mowing — of their accommodations’ mentally-iffy groundskeeper (Matthew Shaw.) A cringe-fest of microaggressions and eerie entrances, the film also boasts a very funny supporting performance from Thou Wast Mild and Lovely director Josephine Decker as a blithely condescending, self-styled patron of the arts who only opens her mouth to switch feet. Collatos favors hard cuts and too-tight close-ups, imparting a jumpy energy to match the characters’ increasingly frayed emotional state. I’m not sure the movie gets exactly where it wants to go, but when it’s over you certainly feel like you’ve been somewhere. Screens Friday 4/28 9:30pm at the Somerville. The imposingly awkward comedian Brett Gelman co-wrote this belligerent curiosity with director Janicza Bravo, the two perhaps intending it as a movie for everyone who thought last year’s Neil Hamburger vehicle, Entertainment, was too commercial. Gelman stars as a lousy acting teacher in the midst of getting dumped by his blind girlfriend (Judy Greer) while being seethingly jealous of the most pretentious student imaginable (Michael Cera, killing it in yet another douchebag role.) The film heaps humiliations and abuse on Gelman’s character, as we watch his awful auditions for adult diaper commercials or a PSA ad campaign to be “the face of Hepatitis C.” Full of surreal non-sequiturs and dialogue scenes directed so the characters all talk past each other, Lemon is not a movie for everybody — probably safer to say it’s a movie for almost nobody — but the commitment to this aggressively unpleasant vision becomes somehow strangely compelling. Screens Saturday 4/29 , 9:45 at the Brattle.